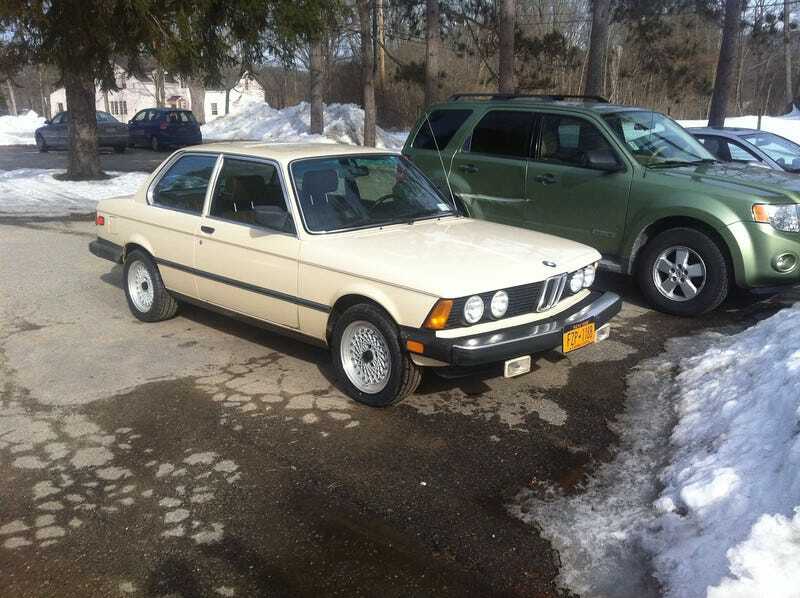 Alright BMW fans, who wants this E21? After learning a very important lesson about not using an older European car as a daily driver, my good friend is looking to sell is '83 320i. This two-owner California car is fully documented and resplendent in Safari Beige with the brown interior. It is described as "fully sorted" and "drives like new" with 103k on the odometer. The garage is for the Elise and the '74 Corvette (don't ask) so this one has to go. NPOCP at $9000?